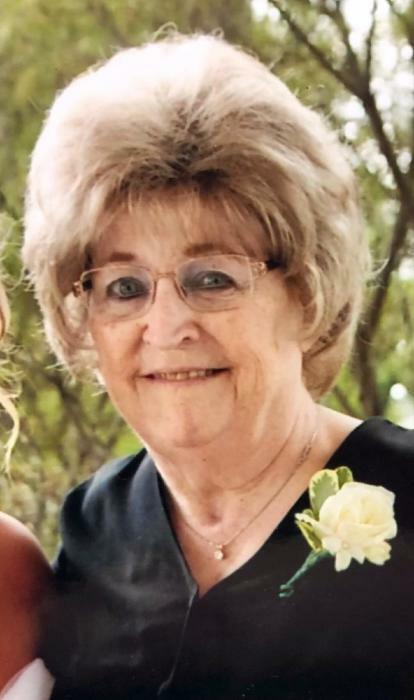 Beverly Z. McKean, age 78, of Auburn passed away on Tuesday, March 26, 2019 at Miller’s Merry Manor in Garrett. She was born on November 22, 1940 in Waterloo to Vernon and Gertrude (Gillian) Sibert. She graduated from Waterloo High School in 1958. Mrs. McKean worked in the office for the Eaton Corporation in Auburn for 40 years retiring in 2008. Daughter and son-in-law; Shawn and Preston Taylor of Auburn. Son; Larry Maple and Betinna Pepple of Auburn. Granddaughter; Rachel and Niles Voekel of West Lafayette, Indiana. Granddaughter; Rebecca Taylor of Auburn. 2 great grandsons; Oliver Voekel and Owen Voekel. Her life partner; Donald McKean of Auburn. She was preceded in death by her parents and one brother; Larry Sibert. Visitation will be held on Sunday, March 31, 2019 from 4:00 to 6:00 PM at the Feller and Clark Funeral Home, 1860 South Center Street in Auburn. Funeral services will be held on Monday, April 1, 2019 at 11:00 AM at the Feller and Clark Funeral Home in Auburn with Pastor Bill Weaver of the Auburn Baptist Church officiating. Burial will take place in the Immanuel Lutheran Cemetery in Avilla. Memorials donations may be directed to the Alzheimer’s Association, 225 North Michigan Avenue, Floor 17, Chicago, Illinois 60601.